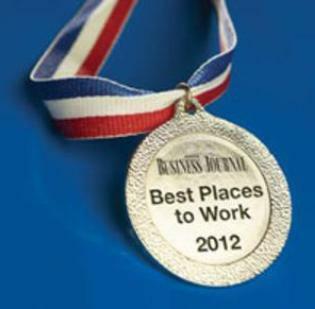 Bradsby Group is proud to announce our inclusion as one of Denver’s Best Places to Work based on the Denver Business Journal’s 2012 Best Places to Work survey. Bradsby Group landed 10th on the Flight II list for Denver, which included Business’s that have between 50-134 employees. Results were compiled using survey data from our employees based on 40 attributes that drive employee engagement (including best practices, leadership and effectiveness). Bradsby Group’s President, Greg Peay, says of our employees “We have a talented, motivated group of recruiters which is key to our ability to deliver results. Bradsby Group is an employee owned company where everyone’s efforts contribute to our success as a whole”.